Visual Studio FSharp Team announced Visual F# Tools 3.1.1, with support for Desktop and Web express! Do not forget to like and follow a new F# Facebook page if you like F#. Welcome a new “F# |> I❤” bumper sticker! Buy from Zazzle UK or US. The F# compiler services project (aka Foslyn :-)) now has basic API documentation. Code formatting is now working on Xamarin Studio! This feature is coming soon. Yeppp pre-release is on NuGet! Now you can use VegaHub with Canopy! Do not miss WebSharper D3 binding. You can play with MathNet.Numerics on .NET Fiddle. Check out some of F# events scheduled across Europe & US. Nessos S.A. now has its own GitHub page. Yan Cui presented a Rx based client library for working with Amazon Kinesis. Visual Studio 2013 Update 1 was released. Kaggle is now a listed supporter of the F# Software Foundation. Fun discussion with some C# folk. “I’m not sure what you mean by a type provider“. Fleece 0.1 was released (a JSON mapper for F#). “A Functional Architecture with F#” PluralSight course by Mark Seemann. “Don’t fear the Monad” by Brian Beckman. “The Future of C#” by Mads Torgersen. Anton Kropp wrote “Checking if a socket is connected“. Steffen Forkmann posted “FAKE 2.6 released – support for TravisCI“. James D’Angelo shared “JSON Web Token (JWT) with Simple.Web – Part 2 (Cleanup)“. Phil Trelford blogged “Parsing C#“. Tomas Petricek translated “Advent Art: Generating Hokusai paintings“. Stefan Alfbo posted “Microsoft Translator Api“. Jérémie Chassaing published “F# Poker Kata par Jérémie, Thomas et Damien“. Mark Seemann wrote about “A Functional architecture with F#“. Richard Dalton blogged “Annotate your code with TestCases“. Taha Hachana ‏wrote “Creating Dynamic Charts with FsPlot“. Cameron Taggart blogged “Code your TFS builds in F# instead of XAML“. Jeffrey Sax presented “CUDA Support Preview“. F# is now available in .NET Fiddle (Live Validation, IntelliSense, Share and Collaborate). Try F# on any device! F# plugin for Light Table was announced. A new site “Community for F#” was published. FSharp.Configuration was announced (collection of Type Providers used for project configuration). Look at and jump in! Meet a new project “Excel Financial Functions” under fsprojects. Taha Hachana presented a search engine for looking up the arguments of R functions when using RProvider. VegaHub was published on NuGet with new docs. Latest beta version of FSharp.Formatting uses the new simpler compiler services API(FSharp.Compiler.Service). Check it out and report any issues! FSharp.Compiler.Service 0.0.11 is on NuGet! 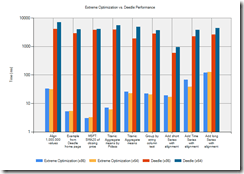 Do not miss a new sample – Compiler Services: Project Analysis. Both Kiev and Lviv hosted F# events last week. Microsoft Search Scientist declares that F# is great for data science scripting. Google glass C#/F# SDK was presented by Xamarin. A new version of SqlCommandProvider was released with AllParametersOptional config property. “FCell 2.0 Demo” by StatFactory. (Combining F# with Excel to get Async UDFs, Object Handlers and Type Providers). “Introduction to F#” by César López-Natarén. Daniel Mohl wrote “A Project Template Wizard Via NuGet“. Jamie Dixon posted “Traffic Stop Disposition: Classification Using F# and KNN“. Steffen Forkmann announced “FSharpx.Collections 1.9 released“. Scott Wlaschin blogged “Commentary on ‘Roman Numerals Kata with Commentary‘”. Jean-Claude Razafindrakoto wrote “Data frame : the basic data structure that any data scientist should master“. Steffen Forkmann announced “FSharp.Configuration 0.1 released“. Cameron Taggart posted “SourceLink.Fake available“. Ross McKinlay shared “Visualizing LINQ with GraphViz“. James D’Angelo wrote “JSON Web Token (JWT) with Simple.Web“. Juan M Gómez blogged “Using FSharp with OrchardCMS“. Ollie Riches wrote about “Simple F# REPL in WPF – part 4“. Mathias Brandewinder presented “Version 0.1 of Charon, a F# Random Forest“. Liam McLennan posted “Applying Functional Programming to .net Consulting Projects“. Sergey Tihon blogged “F# Kung Fu #3: Exceptions recap“. Now you have an ability to subscribe to F# Weekly by email. You can join F# community on Gittip right now! 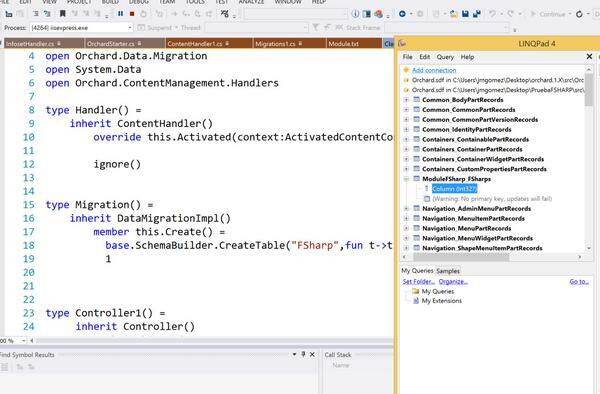 On the next week .NET Fiddle will release a new version with F# integration. Learn more about the FSharp.Compiler.Service project and follow @FSCompService. FSharp.Compiler.Service 0.0.3-alpha is now on NuGet. Fantomas v1.0.5 was released with full F# 3.1 support, Mono compatibility, various improvements and bug fixes. F# code formatting is coming soon to Xamarin Studio! FrankFs just turned 2.0.0! Check out the new and improved docs. Yan Cui introduced log4net.Kinesis, a log4net appender for Amazon Kinesis. Rare event: Bug was found in F# compiler. FAKE needs a cool logo. Any ideas? Apparently, Don Syme is less an F# aficionado than Tomas Petricek. New Functional South Coast (Southampton) user group was registered. There are plenty of ways to join or contribute to WebSharper. Love F# and Sublime Text? Philip David Harvey needs help finishing his F# autocomplete plugin. Stanford CoreNLP for .NET was updated up to v3.3.1. ExtCore 0.8.40 was released (Including significant performance improvements for HashMap & HashSet). New F# code sample was posted on Rosetta Code. An onsite training course “Functional Programming with F# .NET Training Course” is available from JJB International. Ollie Riches works on Simple WPF F# Repl. Vasily Kirichenko works on YamlTypeProvider. Light Table is open source and ready for F# integration. Interested in AutoCAD development with F#? Read these. Phil Trelford posted “Small Basic Compiler“. “Setting up an OData Service on WebAPI2 to be used by F# Type Providers“. “Traffic Stop Analysis Using F#“. Tomas Petricek blogged “Coeffects: The next big programming challenge“. Jack Fox wrote about “Transparent Heterogeneous Parallel Async with F#“. Phil Trelford posted “Extending Small Basic with Function Procedures“. Michael Newton wrote “Type Provider ProTip“. Sergey Tihon announced a new service “Subscribe to F# Weekly by Email“. Gordon Hogenson prepared “Excel automation in F#” links collection. Jeffrey Sax wrote “Data Frame Library Preview“. 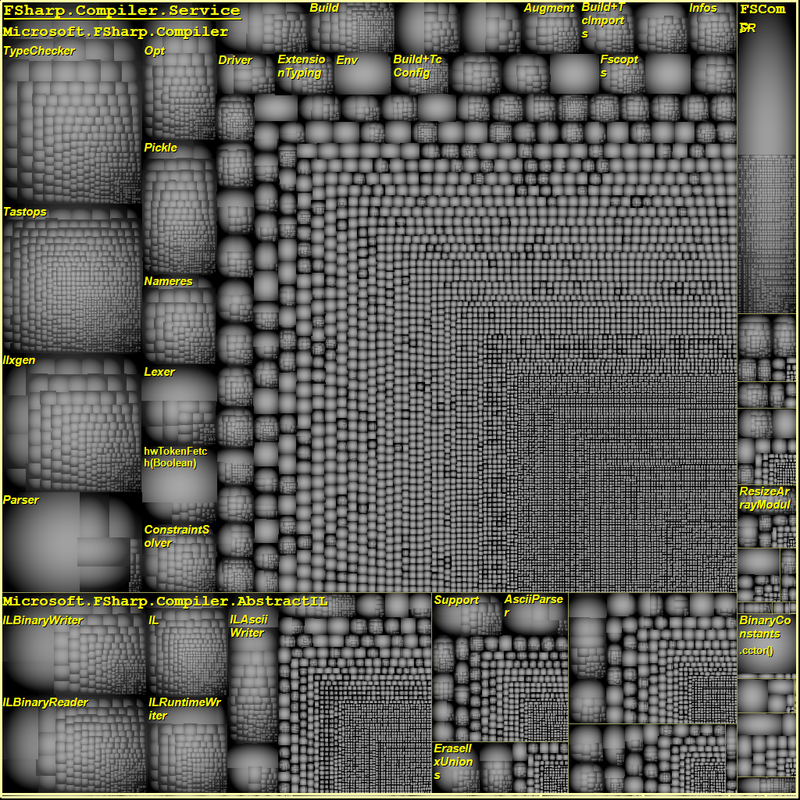 Terje Tyldum posted “F# charting challenge“. Sergey Tihon blogged “F# Kung Fu #2: Custom Numeric Literals“. James D’Angelo wrote “Simple.Web F# Project Template Updates“. Chao-Jen Chen blogged “F#: Connect to InteractiveBrokers via ActiveX“. Yan Cui write “Filbert v0.2.0 – performance improvement on decoding“. Caution: All other resources that claim that they offer subscription to F# Weekly (like http://fsharpweekly.com/) are unofficial. They do not belong to me and I cannot guarantee safety of your email addresses. Yeppp! 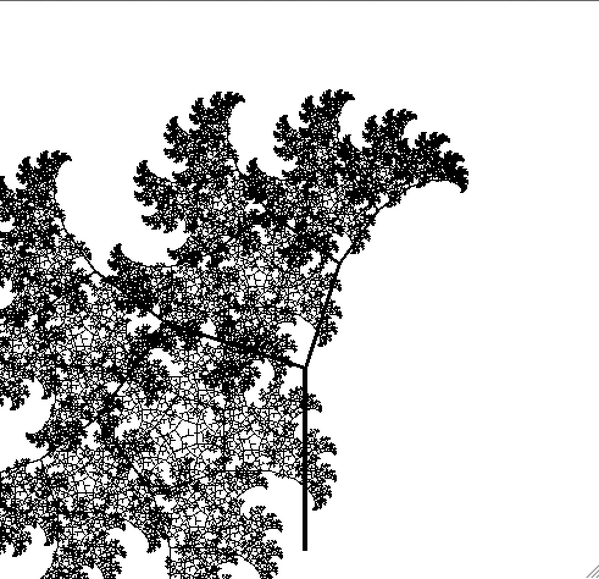 is a high-performance mathematical library with .NET (C#,F#) support. BayardRock presented FSharpWeb (F# intellisense over SignalR or WebAPI using the ACE editor). 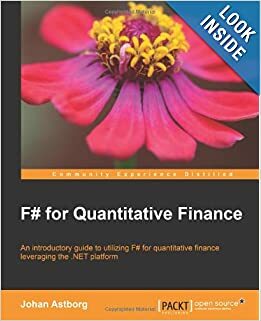 A new book “F# for Quantitative Finance Paperback” was out. F# climbed from position 45 up to 16 in one year in the TIOBE index. F# 3.1.1 is already here. Potentially F# Language Spec may become a part of fsharp compiler repository. FSharp.Management is officially released on NuGet. Kunjan Dalal and Daniel Mohl published a new VS template “F# ServiceStack“. “Recursd: A Functional Programming Conference” is coming. Track your GitHub repositories with Google Analytics. Nathan Brixius (previously of Microsoft Solver Foundation) has now joined FrontlineSolver. F# Agents and RabbitMQ are a powerful combination. “Swarm: Distributed Computation in the Cloud” by Ian Clarke. Sergey Tihon posted “Twitter Pulse #fsharp 2013“. Steve Gilham shared “An introduction to Functional Programming in F# — Part 5: Objects and Exceptions“. Richard Minerich wrote “My 2013 F# Year in Review“. James D’Angelo posted “Simple.Web F# Helpers“. Karl-Johan Nilsson wrote about “Reflections on Code2013“. Jamie Dixon blogged “Correlation Between Recruit Rankings and Final Standings in Big Ten Football“. Daniel Mohl wrote “Simple.Web and ServiceStack Templates“. Daniel Mohl shared “My 3 Most Viewed Blog Posts of 2013“. Don Syme announced “Applications for Researcher and Postdoc positions at Microsoft Research“. Yan Cui wrote that “DynamoDB.SQL 2.0.0 is out!“. Cameron Taggart posted “Accessing TFS and Visual Studio Online from F#“. 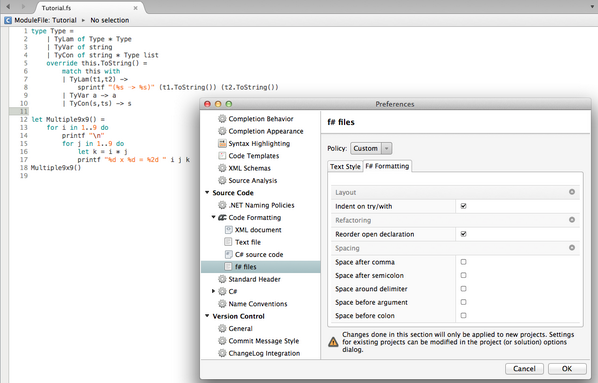 Sergey Tihon blogged “NDepend for F# code or FSharp.Compiler.Service ‘code review’“. Karlkim Suwanmongkol wrote “Add Code Syntax Highlighting to your Ghost blogging site“. Phil Trelford posted “Small Basic Interpreter“. Isaac Abraham blogged “Correlating emails and football matches“. Mathias Brandewinder wrote about “year ++ 2013: my crazy year with F#“.